You can send Real Estate prices with Bulk SMS Marketing Service. Mobile SMS marketing is making life easier for property companies and real estate agents through the country. SMS marketing service is the best for a two-way communication between clients and real estate agents. Mobile marketing is used for the promotion of all businesses. But real estate agents are using these services more than anyone else. Customers are always looking for the best real estate developers and agencies to find a home, office, flat of their choice. Many people look for the properties every day but never show up again. 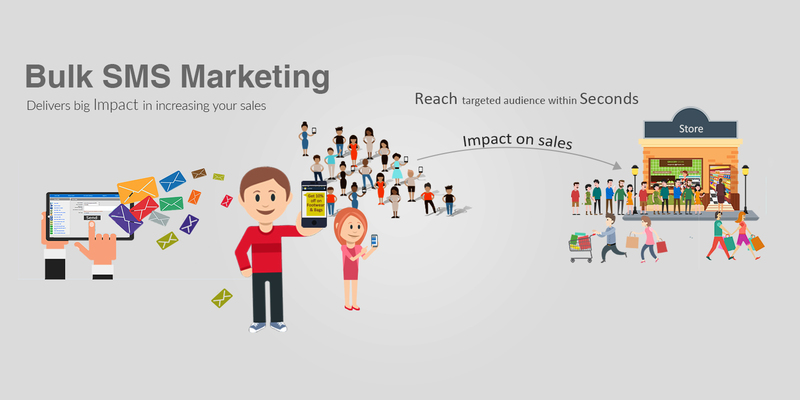 With the help of bulk SMS marketing, you can reach out to the real and potential buyers with high precision. Real estate agencies have to come up with several options depending on customer choice, location, budget etc. Real estate agents have to maintain their current as well as the prospective clients. Therefore, they need a robust solution to set up faster communication. Today, every person is having access to mobile phones. They can get the relevant information about their home with just a click of a button. Researches have shown that around 98 percent of the text messages are read out by people. The click-through rate is higher than all the methods of communication. So you can pitch maximum clients for your property. You can generate more leads with SMS services. Property consultants can keep the customers updated by sending them the messages and informing them of new flats or properties. Choose a particular keyword for selling the property. List the properties that are new. Make another list of clients looking for properties. Start sending SMS to all the potential clients and inform them about the property. Only the interested buyers will revert back. Right after that, you can send the property details to the clients. You can also send your number through bulk SMS so anyone interested can talk back to you directly and talk over a phone call. Real estate agents can send urgent alerts to the clients regarding payment dues and other necessary information within a few seconds. You can also generate leads by marketing the shortcode leads on TV, print, and radio. Property consultants can start an SMS campaign with their target customers to get their feedback. Real estate agents can facilitate the customers to receive their choice and liking of the property deals like pricing, the area per square feet, facilities, availability etc. Virtual business cards are also an effective way to promote real estate services. Creating a business card service is very simple. You have to post a keyword like ‘real estate’ which customers can message you on. Send messages only to the target audience. This is one of the important factors that should be kept in mind while carrying out a bulk SMS campaign. Sometimes, property consultants send bulk SMS to those people who are not interested in buying a property or they might have other requirements. So, SMS campaign should be made for the target audience. Categorize the customers on the basis of new buyers, existing buyers and other related categories. Send SMS according to the list which will increase the chances of getting the maximum response. Bulk SMS marketing is undoubtedly helping the real estate agents in many ways. Real estate industry is growing at a rapid rate and we will witness a huge investment in this sector in the coming future too. Therefore, SMS marketing is the fastest way to get a significant number of buyers for your property. SMSLAB is a bulk SMS service provider in India that is offering the best services in the industry. If you are looking for the best SMS marketing services, you can take services of SMSLAB.